Daniel Negreanu is a blog god. He updates his blog every 3 to 7 days which is pretty impressive when you think about the fact that he is fitting in tons of poker into his schedule as well. His blogs are not just about poker either he talks about a whole range of subjects from his personal life to politics and of course poker. There are plenty of insights into Negreanu’s own poker strategies as well. 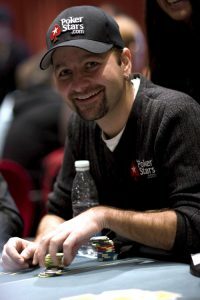 Daniel Negreanu’s blog is published on the FullContact poker website and has been for quite a few years now. It’s still a very entertaining read and Negreanu never seems to run out of interesting things to talk about. Because he keeps his blogs updated so regularly they’re a great way for fans to keep up to date with what is going on in the world of Daniel Negreanu. He writes regularly about the big international tournaments he has been playing, some which you might see on TV and wonder just exactly what was going through his mind, well now you can find out. Daniel also doesn’t hold back on letting us into what happened in the after parties which nearly always ends up with some very entertaining stories. Negreanu seems to have a great skill of knowing just exactly where the poker industry is heading and what will happen next. Not only do his blogs contain insightful poker tips but he also often talks about new players in the poker community and is great at tipping which of these new players will end up at the very top of their field.